It’s a new year and a new program for Australian GT after a change in ownership during the 2018 season, so we thought we’d take a look at what is different about the coming year, and what the competitors and fans will see across the seven-round program. The most obvious change is an increase to a seven events for this year, the longest calendar for the Australian GT Championship since 2012 (negating the separate Endurance Championship of 2016-2017). As was the case in 2018, the CAMS Australian Endurance Championship will form a separate championship – three events this year – with those rounds also forming part of the 2019 Australian GT championship overall points score for the GT3 and GT4 categories. The Trophy Series will again have it’s own championship, however unlike the past three seasons, that title race will be contested within the CAMS Australian GT Championship as part of the four sprint rounds for the year. Trofeo Challenge will make its first appearance in the Championship in 2019 as a category that will cater for ‘Challenge’ classified one-make GT cars – the Lamborghini Super Trofeo (Huracan and Huracan EVO), Ferrari Challenge (458/488) and Porsche GT3 Cup Cars (997/991) will all be eligible. Their championship within a championship will mirror that of the AGT Trophy Series, however in both cases, Trophy and Challenge cars are also eligible to enter their own class within the Endurance Championship – although not for points in their respective championships. For the first time since 2017, Australian GT will return to the popular Barbagallo circuit in Western Australia, whilst also returning to the Gold Coast in October after a seven year hiatus – both of those events with Supercars, as will be the case at Sandown for the final round of the season. Alongside the Australian Grand Prix in mid-March, these events will form the Sprint race program for the year. The CAMS Australian Endurance Championship will see a return to the popular Phillip Island Grand Prix Circuit and The Bend Motorsport Park in South Australia, whilst Melbourne’s Sandown circuit will host an AGT endurance round for the first time since 2008. Announced recently, the 2019 season will close with a slightly different approach than past years, with the development of a new initiative for Australian GT competitors at the annual Challenge Bathurst event. Competitors who have taken part in Australian GT during the 2019 season (regardless of category), will be eligible for entry into the new Pirelli AGT SuperSprint which will be dedicated to those drivers across four sessions, culminating in a #GTunplugged session that will allow teams to remove inlet restrictors and excess weight, bolt on a set of soft Pirelli tyres and go hunting for the Mount Panorama GT lap record..
For the fans, the most noticeable difference to the Australian GT field in 2019 will be the cars, with a string of new models set to make their debuts this year. Leading the charge will be the 2019 Audi R8 LMS GT3 which despite campaigning a largely unchanged silhouette is expected to be a more competitive car with a change to the aero (most visible from the front) and drivability. Lamborghini too has updated their successful Huracan GT3 with an EVO model, which like the Audi, continues with the same body shape, but it features a range of changes including a new engine block and revised aero. Porsche too enjoys an update with the Type 991 Porsche GT3 R.2 enjoying a welcome horsepower boost, Porsche engineers finding an impressive 10% additional power from the 4.0-litre flat-6 naturally aspirated engine, giving their customer racing teams a stronger package for the season ahead. Nissan will also have an update for the coming season, the mighty GT-R Nismo GT3 receiving some cosmetic tweaks to bring it in line with the current road car, whilst mechanically the chassis, suspension, brakes and transmission have all been upgraded. Of the new releases though, the most anticipated come from former Australian GT winners Aston Martin and McLaren..
Aston Martin has a completely new Vantage GT3 on the market for 2019, the stunning new release will be powered not by the traditional naturally-aspirated 6.0-litre V12, but by an Aston Martin tweaked Mercedes-AMG 4.0-litre twin-turbo V8. It’s not just the powerplant either, after seven years of success with the current Vantage GT3 (which includes multiple wins in Australian GT), the new model features a chassis and body redesign which looks incredible and will be sure to attract a legion of fans in Australia. It won’t be on its own though, fellow British automaker McLaren too have a new car on the way, with the bold new 720S GT3 due for race circuits across the world this year, replacing the successful 650S GT3 which lists an Australian GT title amongst its many accolades (Klark Quinn, 2016). McLaren note that more than 90% of the road car componentry has been changed or optimised to develop the new GT3 including the 4.0-litre twin-turbo alloy engine taken from the road going 720S. Like the new Vantage, the 720S GT3 features dramatic new styling which has already proven popular with fans online, the 2019 season-opener at the Australian Grand Prix likely to further fuel those emotions. For the competitors, aside from the program – which is largely unchanged – the Pirelli AGT SuperSprint and a new tyre for the Championship class are the obvious changes. 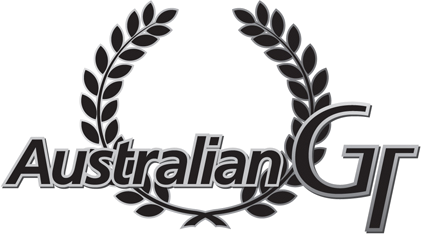 The Pirelli DHD2 tyre that has been campaigned in SRO-sanctioned GT3 events around the world in 2018 will be available to the Australian GT Championship this year, a tyre that has proven faster and more durable than it’s forebear, as was proven by both Christopher Mies and Dean Canto during their impressive runs at Challenge Bathurst late last year. With just on two months until the opening round of the 2019 season – the 15th in the modern era of Australian GT – team announcements and the arrival of new cars will continue to circulate the media ahead of what promises to be another outstanding year of GT action in Australia.